Whenever children are threatened by famine, natural disaster or the repercussions of conflict, UNICEF responds with water and sanitation, nutrition, health care, education and protection. UNICEF has been doing this for more than 70 years. The worst hurricane to hit the Caribbean in a decade made landfall in Haiti on October 4, 2016, ravaging the southwestern coast, killing at least 546 people and displacing 180,000. Hurricane Matthew flattened buildings, destroyed livelihoods and devastated crops and livestock. Damage to water and sanitation systems led to the spread of cholera. Food shortages and malnutrition followed. Two months later, more than 500,000 children were still in dire need of help. The hurricane also wrecked hundreds of schools, disrupting education for tens of thousands of students. 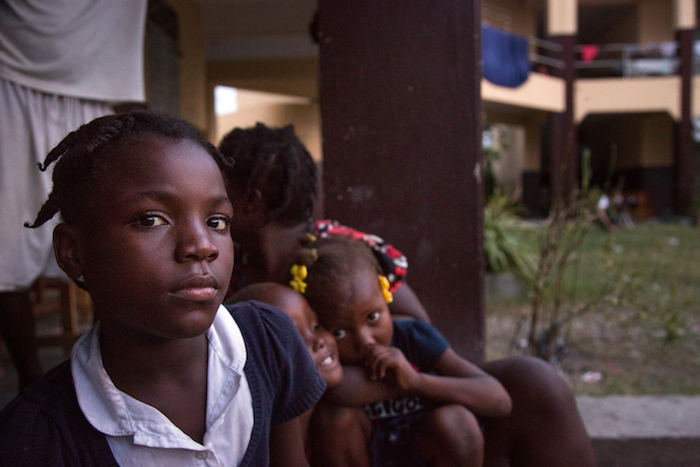 UNICEF's work in Haiti began when the storm was still at a distance. Teams collaborated to put supplies in place and coordinate early responses. As the Category 4 storm hit the island, UNICEF's efforts kicked into high gear and continued through the long months of recovery. Giving relief to Haitian children and their families meant restoring safe water sources and dispatching teams to improve sanitation facilities to help prevent disease from spreading. UNICEF also vaccinated children against cholera and measles and delivered emergency medical supplies to health clinics caring for the sick and injured. 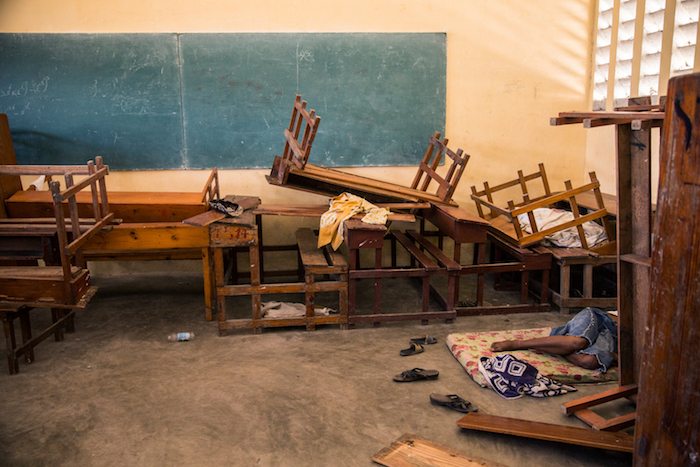 UNICEF's relief efforts also meant helping kids return to the classroom while repairing and reopening schools. UNICEF's emergency aid made all the difference for children like 12-year-old Esperanza of Les Cayes, one of the hardest hit towns in Haiti. After Hurricane Matthew destroyed their home, Esperanza and her mother took shelter in a local school. In Les Cayes, UNICEF installed a water bladder on the school grounds to provide safe drinking water for displaced families. Despite destroyed roads and bridges, UNICEF and partners delivered and distributed water storage tanks, water treatment tablets and other lifesaving supplies. UNICEF's relief work also made all the difference for 4-year-old Love of Jérémie, who, in the aftermath of the storm, needed cholera treatment. With UNICEF's support, local health facilities rebuilt quarters to safely quarantine cholera patients and contain the disease, and to treat children with acute watery diarrhea, a symptom of cholera that can be fatal if not treated promptly, particularly for young children already weakened by malnutrition. More than 100,000 children in Haiti missed out on learning when their schools were either damaged or converted into shelters. In Cavaillon, 13-year-old Roseberline's school was shut down for more than a month after Hurricane Matthew. 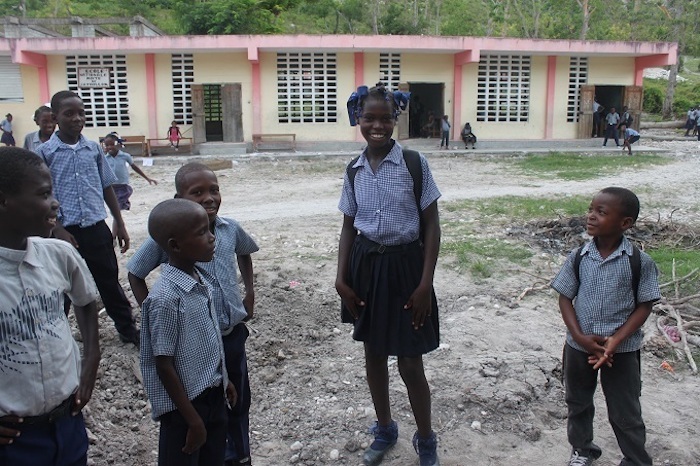 UNICEF works hard to minimize disruption to education after a disaster. With UNICEF's help, Roseberline was finally able to return to class. Roseberline told UNICEF, "I felt very bad because I saw our house being destroyed. My family and I were soaked by the rain. I lost everything, including my books, my notebooks and my school bag." When Roseberline's school reopened, one of the walls was still a pile of rubble; trees lay flat where they once stood tall. "We spent so many weeks without school," she said. "Now I'm very happy, and I get to see my friends again!" Another major focus of UNICEF's emergency relief efforts is saving and protecting children caught up in conflict. For example, six years of civil war in Syria has affected at least 80 percent of the country's children. Shattered by violence, fear and death, 8.4 million Syrian children have been forced from their homes. The war is jeopardizing the future of an entire generation. But UNICEF offers hope and relief. Throughout the war, UNICEF has continued to deliver emergency assistance to refugee children in Syria. 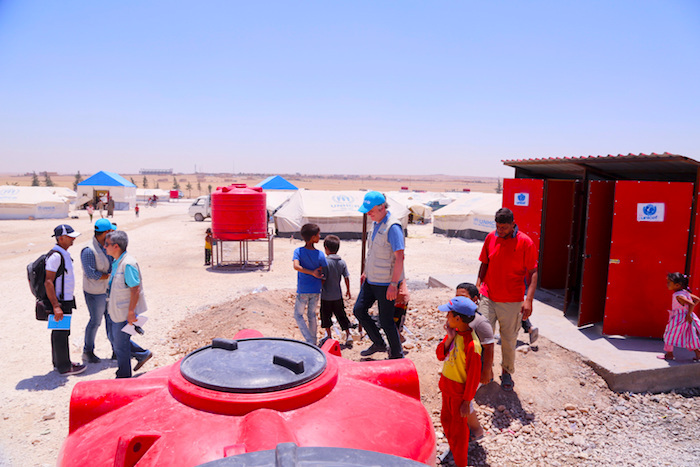 With partners, UNICEF staff have worked tirelessly to deliver safe water, nutrition, health care and education to those living in refugee camps and settlements in Jordan, Iraq, Turkey and other neighboring countries, and even to those who were trapped in embattled cities. UNICEF Syria Representative Hanaa Singer explained," We are determined to do what we can to reach out to children. It's why we have more than 200 staff who risk their lives every day across the country to support Syria's children." UNICEF USA played a critical role in the success of these efforts by generating significant support and awareness among the American public. One UNICEF USA supporter in particular, Silicon Valley entrepreneur Narges Bani Asadi, has set an inspiring example. A biotech entrepreneur and an executive at Roche, Narges launched a Facebook fundraiser and rallied 2,500 people in her Facebook network to help Syrian children under siege. Narges got the idea for her campaign after reading about an offer from the Bill and Melinda Gates Foundation to match funds for good causes in honor of Giving Tuesday. "Here's something hopeful I can do," Narges remembers thinking. She launched her effort with a simple and effective plea, a post that read: "Start your Tuesday with a kind act." In its first ten hours, the campaign attracted 212 donors and more than $10,000. Over the following two weeks, Narges's plea to "Help Syrian Children Under Siege" was shared repeatedly, her circle of influence growing exponentially. When the fundraiser ended on December 13, 2016, it had been shared more than 500 times, and almost 2,500 people had donated to help Syrian child refugees. Collectively, they had raised more than $103,000, including matches from the Bill and Melinda Gates Foundation, Google and Apple. "Our fundraiser showed the power of one and the power of communities and how we can all drive change," Narges posted. Narges was especially pleased to see a large contingent of Iranian-Americans participate. Narges grew up in Iran and migrated to the United States 12 years ago. "The Iranian-American community is very strong in terms of... their ambition and desire to serve. I think it's just one small example of a community that mobilized over something that matters," she explained. Most donors to Narges's Facebook fundraiser contributed $10, $20 or $100 — relatively small amounts that, pooled together, amounted to "some tangible money that could really make a difference," Narges says. Every donation counted. In January 2017 alone, UNICEF helped more than 53,000 people in 89 hard-to-reach locations with critical aid. 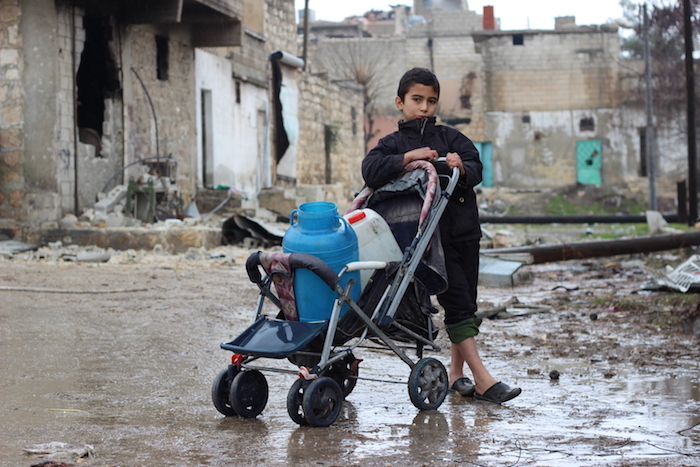 In Damascus and Aleppo, UNICEF reached more than 2 million people with clean, safe water. And UNICEF helped bring education to nearly 990,000 Syrian children. "One of my passions in life is to be involved in children's causes, which is what UNICEF is all about," Narges says. "I know I can trust UNICEF."